Patient engagement is the act of activating a person to manage his or her own health and healthcare with knowledge, skills and confidence. An activated patient is informed, empowered and engaged in his or her care. He or she practices positive health behaviors and makes better care decisions. Activated patients have better outcomes and cost less. Direct patient activation takes a mobile-first approach to motivating patients. It recognizes that patients must be activated in order to absorb necessary education, become engaged and satisfied. The power is in HOW hospitals connect and energize patients with information that truly makes a difference to care, costs and outcomes. Hospitals must involve and empower patients with tools that enable connections outside the hospital and on the mobile devices they carry with them 24/7. Direct patient activation connects patients with their healthcare providers and hospitals throughout a care journey. It uses technology to fill in gaps in care, allowing providers to own the whole episode of care like never before. Also important, direct patient activation helps health systems meet the regulatory requirements of the Centers for Medicare and Medicaid Services (CMS), thereby maximizing financial rewards and minimizing penalties. Consider traditional patient-provider communication from pre-op through post-op and recovery. There are many gaps in care when healthcare professionals would like to reinforce care instructions and proactively anticipate a patient's questions, fears and anxieties. There are also many times when providers need data about how the patient is doing and whether he or she is on track with recovery. Direct patient activation improves both patient outcomes and the patient-provider relationship. In this ideal care episode, providers automatically push out regular connections to patients at every point where those patients may need guidance – setting patient expectations earlier in the care episode. Patients and their care team can also interact with each other at every point. CMS continues to reward or penalize U.S. hospitals based on their ability to improve clinical care and lower costs for the entire episode of care. The driving factor for penalties is the high cost of wasteful spending in healthcare. PricewaterhouseCoopers finds that excess healthcare spending includes $25 billion in preventable hospital readmissions and $14 billion in unnecessary emergency department visits per year. Simultaneously, healthcare leaders recognize that reaching outside the hospital walls is essential to remaining innovative and improving access to patients. Patients (64%) are already using mobile devices to manage health. Much of the healthcare industry has yet to catch up. To accomplish the goals of both insurers and care providers – ie., improve patient care, access and cost – hospitals need to know how to activate patients. Forward-thinking health systems that have implemented patient activation solutions are finding that they can impact the cost metrics that CMS programs target and also create ongoing digital relationships that empower and engage patients. 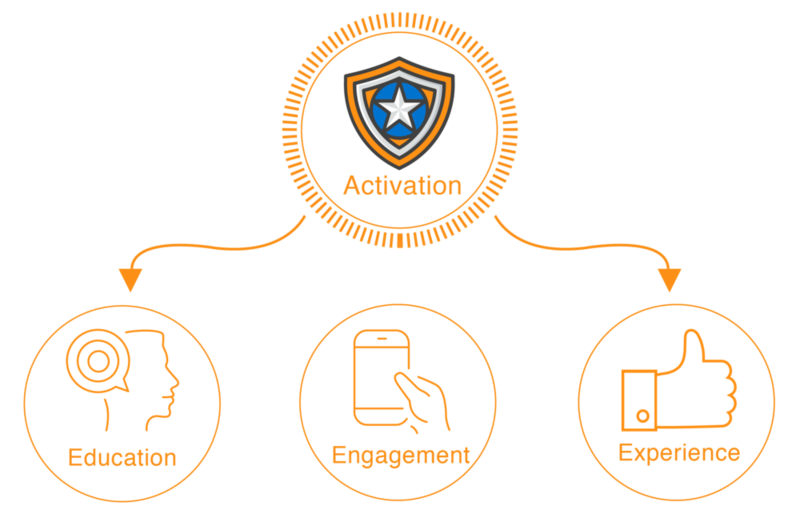 Direct patient activation is the prerequisite to achieve educated, engaged and satisfied patients. To improve outcomes, you have certain health information and care instructions that you need your patients to understand and remember. Direct patient activation gives patients this knowledge in a way that promotes patient recall (a common problem in healthcare) through repetition, targeting and timing. Interactive content is the basis of digital education. More than just text – videos, feedback opportunities, slideshows and quizzes reinforce care instructions and set patient expectations. 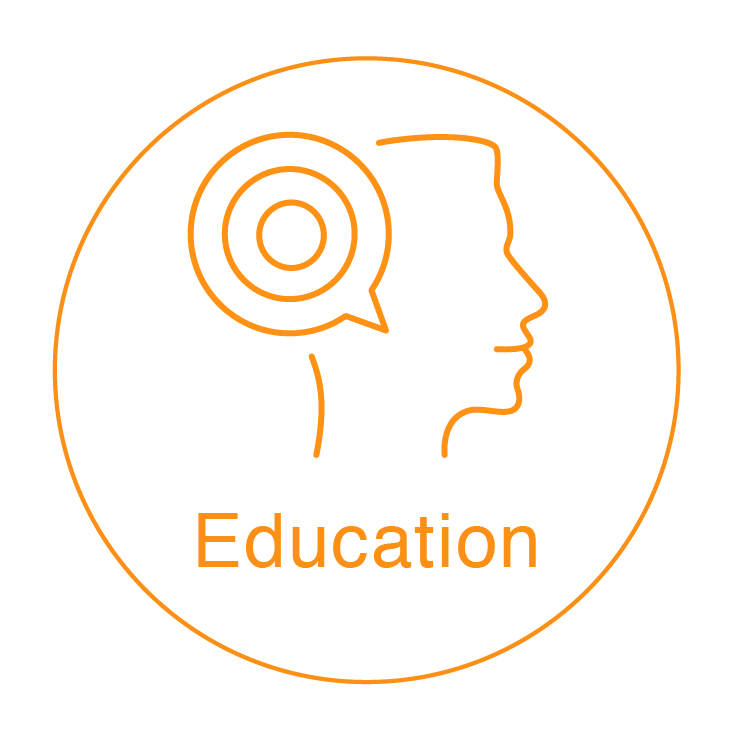 Patient education must be targeted, relevant and reliable. Subscriber management lets you see where patients are in the care episode and ensure that they receive the most targeted content. Or, target by other factors such as provider, zip code or your own unique field. Certain topics require more in-depth focus. Library articles direct patients to further learning that they can explore on their own. Without increasing patient activation, you cannot achieve true patient engagement – you're missing the secret ingredient. Direct patient activation taps into human nature to engage people in a way that guides them toward positive health behavior change. Automated push messaging by text and email delivers education directly into patients' hands, engaging them in the way they prefer, without the need to log in or download an app. You eliminate some of the common barriers to accessing care information. Interaction is important, whether it's the type of content offered (slideshows and videos), the variety of the clickable links (to your hospital website, blog or class signups) or patient-reported feedback opportunities. The more interactive, the more engaging. Sending email campaigns or surveys is an on-demand way to communicate about your unique care offerings and hospital announcements, promote marketing initiatives, send notifications and reminders, and solicit patient feedback. Offering a secure, bidirectional communication channel increases patients' sense of connection and access to the most trusted source of health information – you. Though, in practice, hospitals who use patient activation technology actually reduce the number of messages, calls and emails they receive. Integrating care into patients' everyday lives, providing seamless communication between you and your patients, and making it simple for them to stay healthy – that's the experience you want to provide. When you do, patients will reward you with retention and recommendations. When you engage patients throughout an episode of care, you build longterm relationships and create a healthcare experience that will delight patients – the new healthcare consumers. It also puts you ahead of CMS requirements. Automatically measuring satisfaction 90 days post-op or post-care tells you how patients rank you on some of the top measures of experience, including engagement, confidence, preparedness and connection to your hospital. With on-demand data and weekly and monthly summary reports, you'll always have a snapshot of how your patients are doing. Talk to us to learn more about direct patient activation, get ideas that you can implement right away and see if this type of patient engagement is right for your hospital.